Happy birthday to me! Thanks to the newest farm-to-table eatery in my neck of the North Georgia mountains, the wedding anniversary/birthday brunch I shared with my family was nothing short of spectacular. Yes, Mr. Montana and I were married on my birthday…ahem…22 years ago. 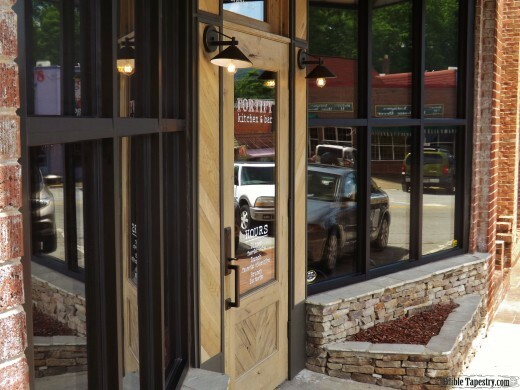 And, yes, there is a fabulous new farm-to-table restaurant in Clayton, GA, Fortify Kitchen & Bar, and it is gorgeous! 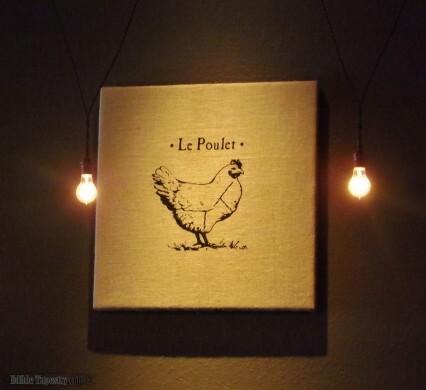 Classy French contemporary meets rustic farm decor. I don’t know if that’s a real thing, I just made it up. 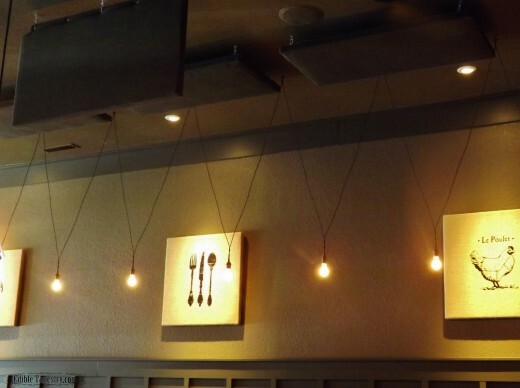 But the wiring of the vintage-look lights that hang from Fortify’s progressive burnished steel gray ceiling and criss-cross in front of the burlap wall hangings that are displayed in the restaurant’s main dining room remind me a little of the chicken wire on my girls’ chicken run. The high-back, pleated vinyl bench that lines one wall of the eatery is reminiscent of a small, agricultural town diner’s booths. Now that is pretty cool, and I can’t imagine simply a coincidence. 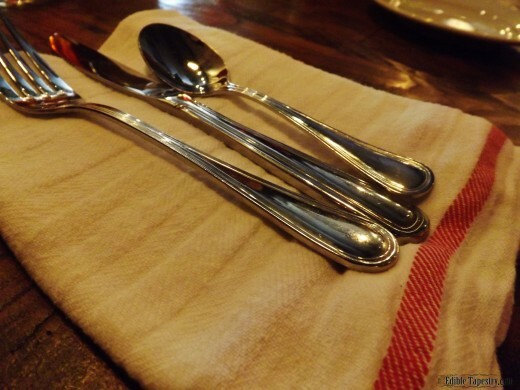 Flour sack towel napkins. My grandma would have been so happy to see them. She was a big fan of flour sack cloths. 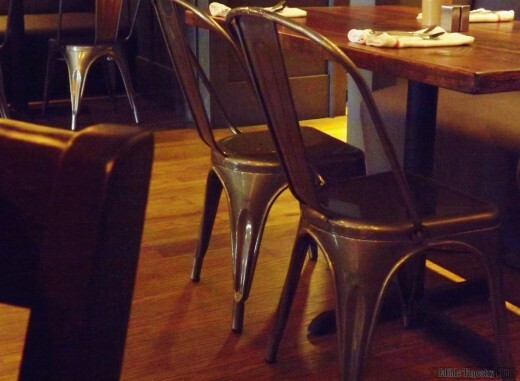 Retro chairs that put my mid-century pair to shame, like French bistro chairs dipped in molten metal and cooled. Ooh la la! 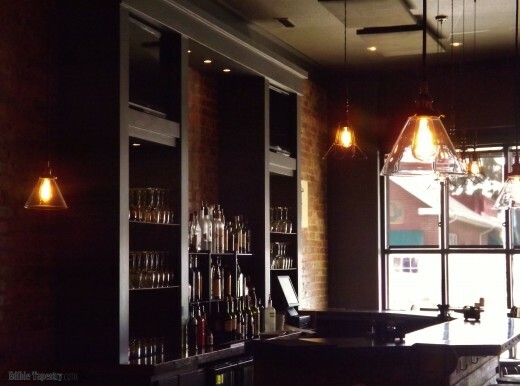 Fortify’s beautiful stocked bar, complete with hooks for hanging hats, purses…diaper bags? No, that doesn’t make sense, but seriously, every bar should have them so ladies will not be required to teeter their handbags on their knees while pretending to be sober. 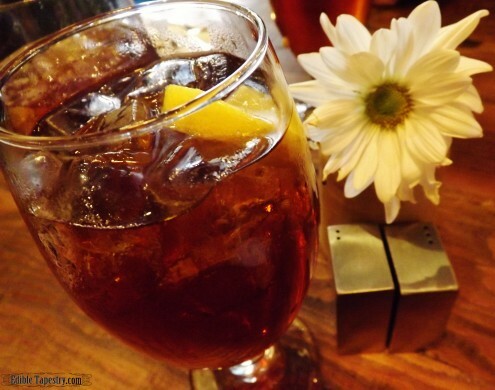 Sweet tea and daisies. Doesn’t get more Southern than that. Needless to say, I was excited before I even saw the menu. 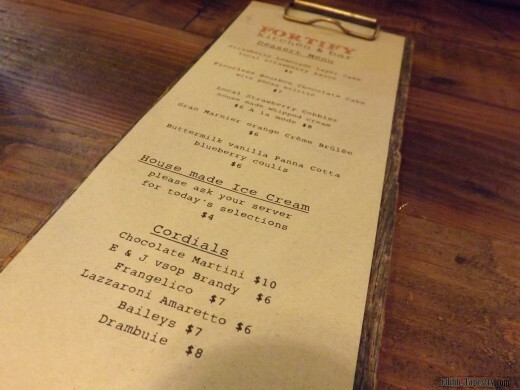 Well, I’ve been ogling all of Fortify’s menus at the restaurant’s website since they were posted near opening day, but to see one laid out in front of me, knowing that I was finally going to have a chance to taste Chef Allred’s tempting creations, was a whole other story. I was not expecting it to appear as a single sheet of primitive parchment with simple type. Perfect. 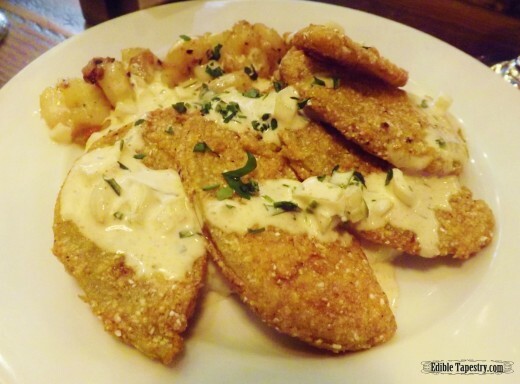 Mama had to have the fried green tomatoes to start, everyone knew before she ordered them. 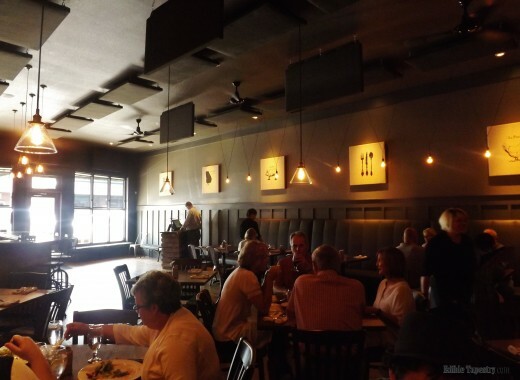 Served with shrimp and the creamiest grits on the planet, more like a rice pudding without the sugar than the yellow or white finely ground grits one is usually served, the dish could have made a meal in itself. I was very glad to have a man and two manlings to share it with. 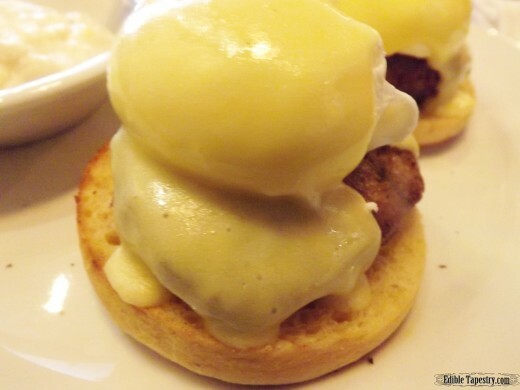 Eggs Benedict? Done deal. 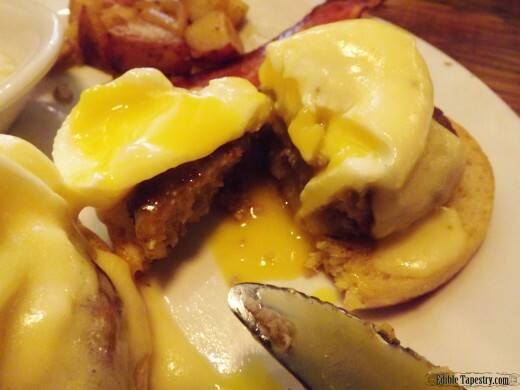 It happens to be this happy couple’s favorite breakfast dish to eat together, since those early, childless days when we would frequent a little coffee shop in Waikiki which served steak and eggs Benedict on Sunday mornings. A sentimental choice for our anniversary brunch. And with house made English muffins. Are you kidding me? When our boys were little we called poached eggs the cutest little eggs in the whole wide world. Because they are. This one was a-dorable. 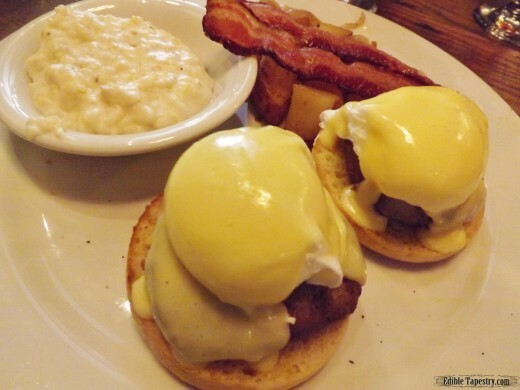 Bacon, more of the creamy grits, and tender red potato home fries accompanied our Benedict. 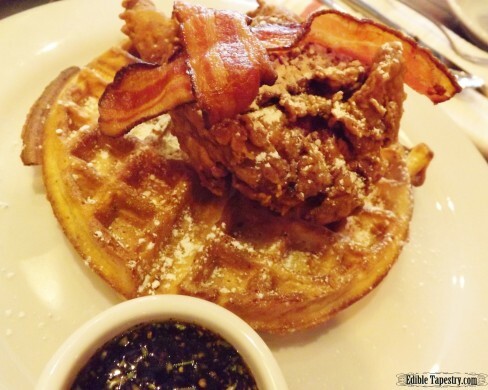 My boys each ordered the fried quail with waffles. They’d never had quail, fried, before, just their old ma’s pan-seared. Of course I had to sample a bit of everything. I honestly wouldn’t have slept. The waffle was unbelievably crisp and airy. I was so jealous. I try and try…mix up batch after batch… Fried quail is outstanding! Good to know. But it was the cane syrup with rosemary and crushed black pepper that was served alongside the two components that knocked my socks right off. One teen wouldn’t touch it because it tasted like “Christmas tree”. He’s not a real fan of rosemary. But the one who requested dinner at “a restaurant with a dress code” for his 16th birthday, and once used his allowance to purchase a bowl of bouillabaise, poured it all over the quail and waffle, saving just enough to dip his pecan wood smoked bacon in. I spied his eyes roll heavenward more than once as he ate. I don’t know how, but we all managed to save room for dessert. It was a partial birthday dinner, after all. But who needs birthday cake when there’s crème brûlée? Grand Marnier Orange Crème Brûlée, to be exact. Just rolls off the tongue, doesn’t it? 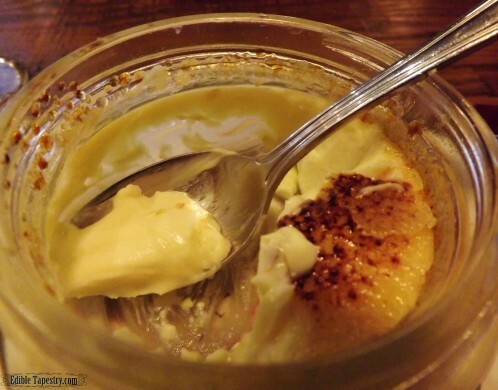 Grand Marnier Crème Brûlée. 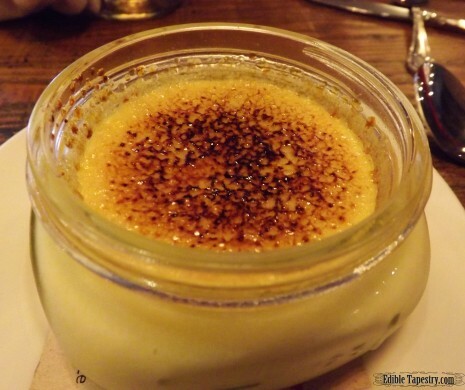 Now, crème brûlée is not one of my favorite desserts. In fact, I think this was the first time I’ve chosen it over both a layer cake and a chocolate cake. But Grand Marnier is about my favorite libation to roll around on my tongue, so I just couldn’t pass that up. I tried really hard to finish it. As my son pointed out, my dessert had been torched, so it was kind of the equivalent of a lit birthday cake. Totally appropriate for the occasion. 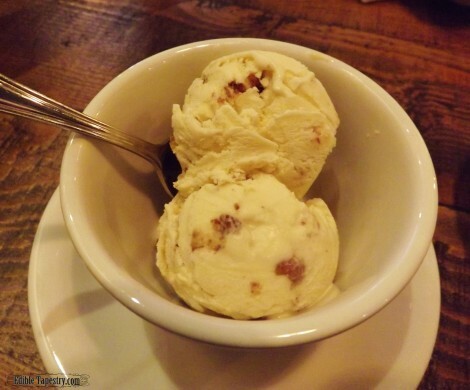 The same son couldn’t pass up ice cream made on the premises, and really enjoyed his dish of butterscotch flavored. 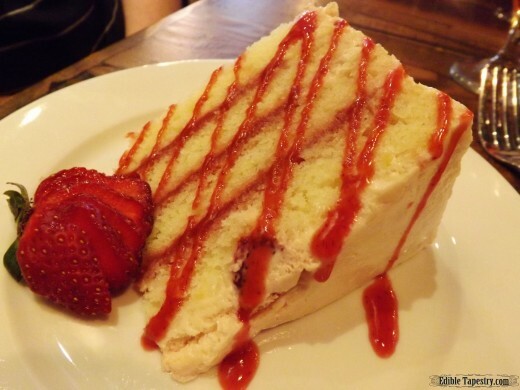 The other two at our table couldn’t resist the idea of Strawberry Lemonade Layer Cake, so both ordered that. It was dreamy to look at, and the teensy iced bit that I tasted was exceptional. I might have to do that one next time. Though, after all the calories I consumed during this one sitting, it should be a good long while before anyone lets me near a dessert. All I could think during our wonderful meal at Fortify, which was like a culinary carnival that kept me grinning from ear-to-ear, one edible ride to the next, is that very few people know how to do everything right. 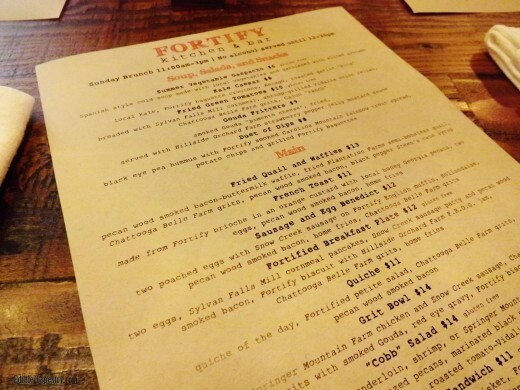 It’s a rare thing to experience, but the owners of Fortify certainly know what they are doing. And I am oh so lucky to live within an hour’s drive of this great restaurant whose creators put so much effort into quality local ingredients and attention to detail. Very kind of you stop by Edible Tapestry. Thanks for all the effort your team has put into Fortify. I will cherish the memories of my first visit, but look forward to making many more.